https://d2wldr9tsuuj1b.cloudfront.net/1029/slideshows/homeLarge/12923215_1099085646800428_3204499274570366227_n.jpg Welcome to St. Jude&apos;s Website! https://d2wldr9tsuuj1b.cloudfront.net/1029/slideshows/homeLarge/heartfeet.jpg At St Jude's we stand for LIFE! in Pharr, Texas. St. Jude Thaddeus is a parish of the Catholic Diocese of Brownsville under the spiritual care of the Fathers of the Pharr Oratory of St Philip Neri. We hope your visit will be of great benefit and you will get know a little of the life of this community of Faith. To our parishioners we hope you are able to find the necessary information and that you find what you are looking for, we provide for your convenience our telephone numbers for any information that you may require or any inquiry that you may have. Although the Celebration of the Lord&apos;s Passion appears to be a service of the Word with the distribution of Holy Communion, the Roman Missal does not permit a deacon to officiate at the celebration. Historically, even though the Eucharist is not celebrated on this day, the liturgy of Good Friday bears resemblance to a Mass. At one time it was called the “Mass of the Presanctified” (referring to the pre-consecrated hosts used at Communion, even when only the priest received Communion). This is also reflected in the prescribed vesture for the priest: stole and chasuble. 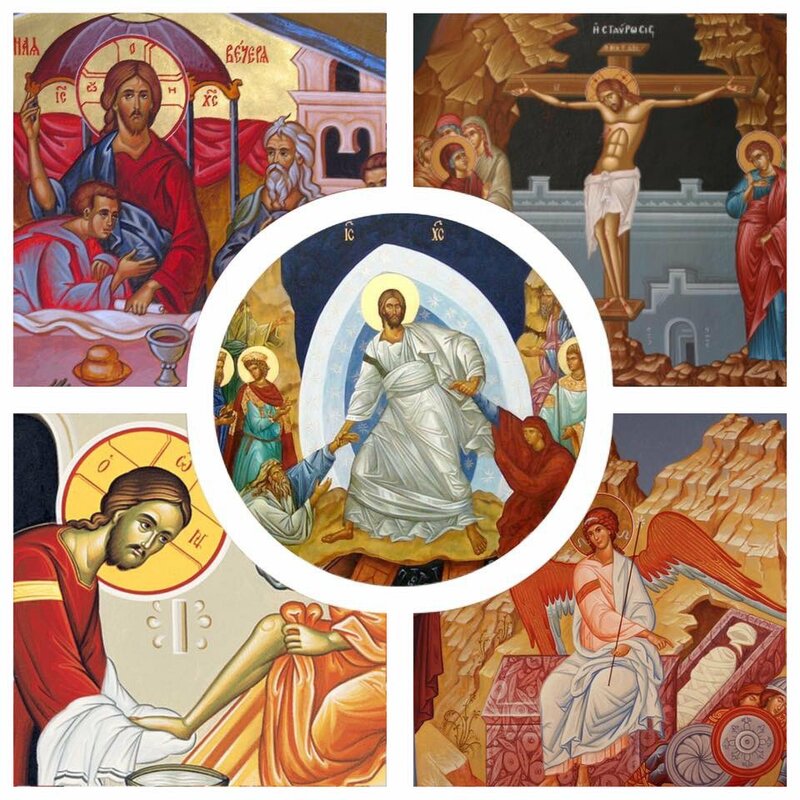 The liturgy of Good Friday, as an integral part of the Triduum, is linked to the Holy Thursday Mass of the Lord’s Supper and the Easter Vigil on Holy Saturday. While there may be cases where a parish with multiple churches or chapels (e.g., mission churches or a cluster of parishes under one pastor) might rotate the liturgies among the various locations, it would not be appropriate for a community to celebrate only part of the Triduum. Mass is to be celebrated on Easter Day with great solemnity. A full complement of ministers and the use of liturgical music should be evident in all celebrations. On Easter Sunday in the dioceses of the United States, the rite of the renewal of baptismal promises may take place after the homily, followed by the sprinkling with water blessed at the Vigil, during which the antiphon Vidi aquam, or some other song of baptismal character should be sung. (If the renewal of baptismal promises does not occur, then the Creed is said. The Roman Missal notes that the Apostles&apos; Creed, "the baptismal Symbol of the Roman Church," might be appropriately used during Easter Time.) The holy water fonts at the entrance to the church should also be filled with the same water. On the subsequent Sundays of Easter, it is appropriate that the Rite for the Blessing and Sprinkling of Water take the place of the Penitential Act. Join us in the church to pray the Chaplet of Divine Mercy daily at 3:00 pm and the Holy Rosary at 6:00 pm. Please remember the Poor in our parish community. Every 1st Sunday of the month through out the year the 2nd collection will be used to help our "Canastita de San Martin the Porres" Food Pantry for the Poor, help to pay utility bills and medical emergencies. We also provide 10 pounds of chicken per family. Any donations are welcomed at any time. Forgive and Pray for those who have hurt you. Read the Bible. Read and meditate on all that led up to the passion and crucifixion of Jesus. Each Gospel depicts the passion and crucifixion a little differently.